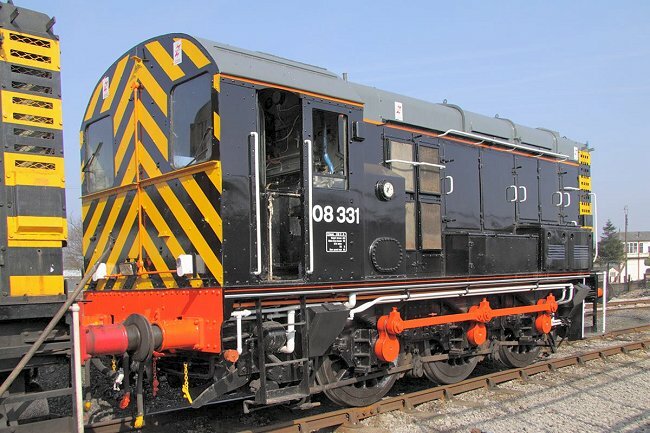 Class 08: 08331 at Swanwick 21st March 2009. Built by BR Derby in 1957 as D3401. 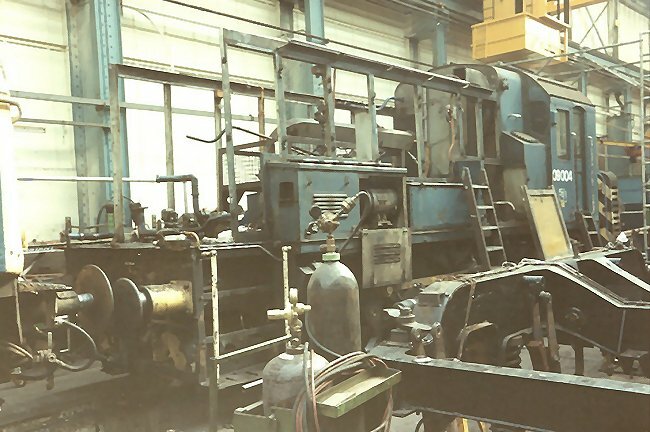 Withdrawn in 1988 and sold to RFS Industries at Doncaster. Photograph Nick Broome. 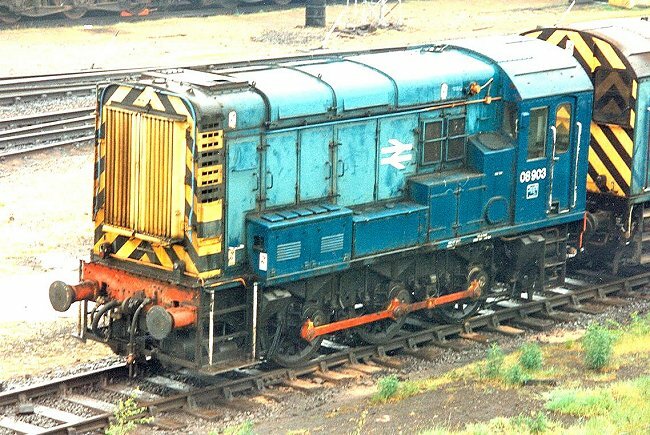 Class 08: 08903 in blue livery at Tinsley 22nd May 1994. 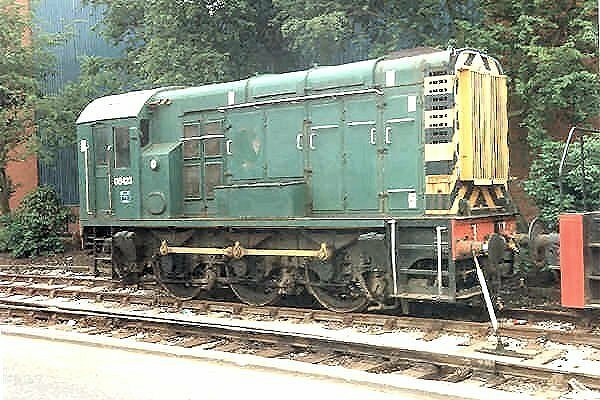 Built at BR Horwich in 1962 as D4133. Class 08: 08423 in green livery at Trafford Park Manchester 7th May 1994. Built by BR Derby in 1958 as D3538. Withdrawn in 1988 and sold to Trafford Park Estates, Manchester. 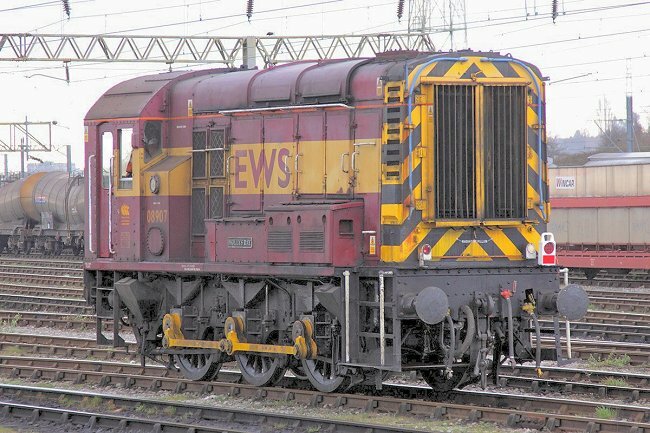 Class 08: 08828 in EWS livery at Bescot 26th February 2008. Built by BR Derby in 1960 as D3996. 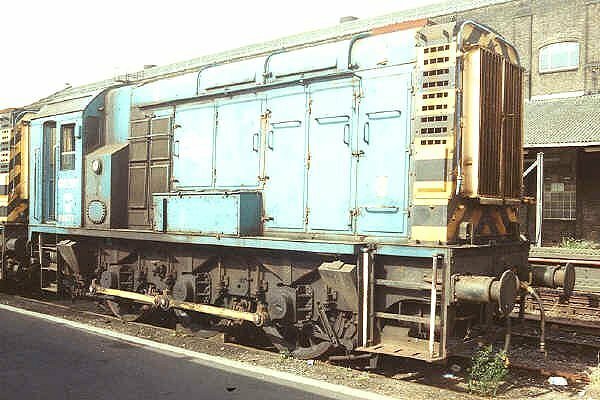 Class 08: 08417 in blue livery at Merehead 1st July 2000. Built by BR Derby in 1958 as D3532. Class 09: 09004 at Eastleigh 27th September 1992. Built by BR Darlington in 1959 as D3668. 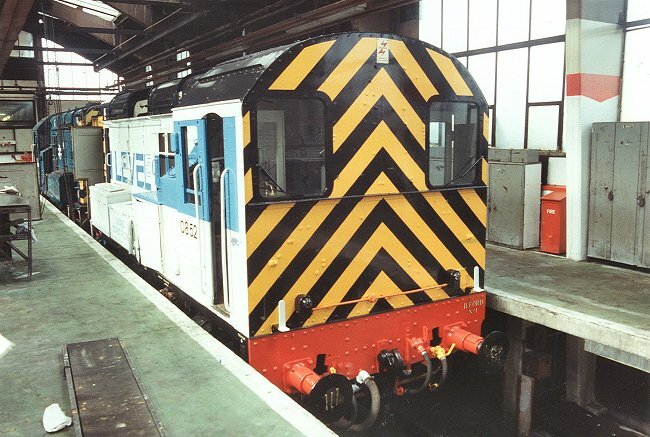 Class 08: 08517 in blue livery at Stratford depot 10th September 1994. 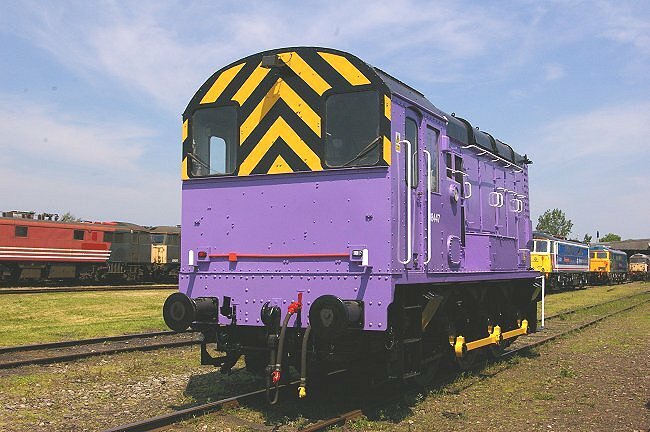 Built by BR Darlington in 1958 as D3679. 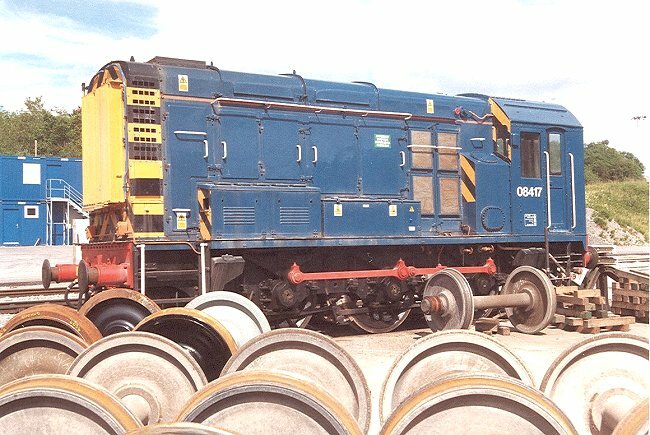 Class 08: 08447 in unusual livery at a storage site 8th June 2008. Built by BR Derby in 1958 as D3562. 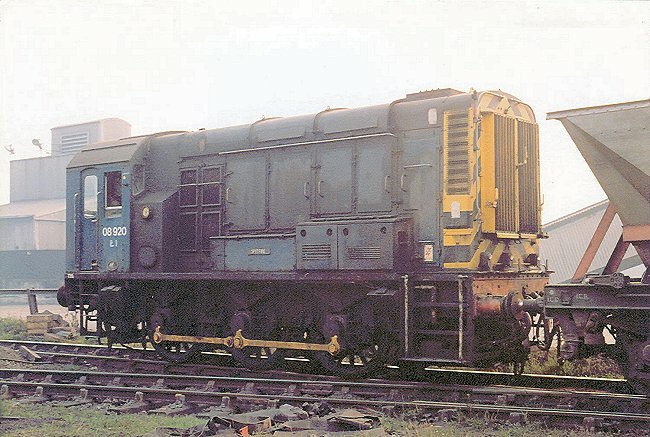 Class 08: 08920 in blue livery on a dull day at NCB Coventry Colliery 11th September 1986. Built by BR Horwich in 1962 as D4150. 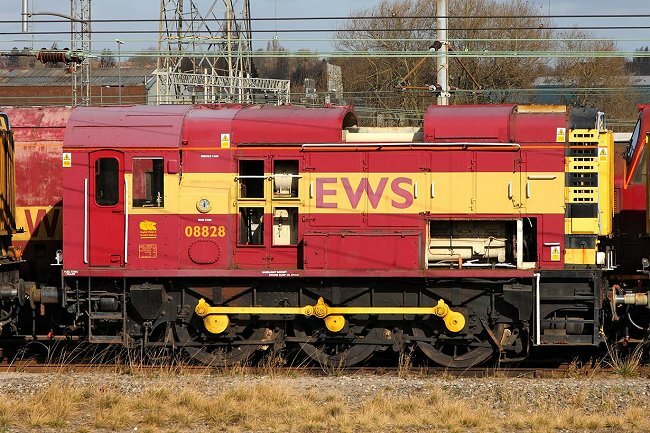 Class 08: 08907 in EWS livery at Bescot 13th March 2009. Built by BR Horwich in 1962 as D4137. Class 08: 08527 in white livery at Stratford depot 10th September 1994. Built by BR Darlington in 1959 as D3689.